If you work at the foundation of the donor pyramid (aka direct response fundraising), you’ve probably heard all this before. From a client, a Development Committee member, a boss. We’re different from everyone else. It’s a powerful thought. Nonprofits are like snowflakes. And if you’re too cynical to believe anything less of your own organization, then you’re likely to fail or, worse, be mediocre. But even snowflakes are subject to the forces of gravity. Will you ever achieve a 99% direct mail response rate? No. Will you ever have a donor file made up of 20 year olds? Probably not. (And are you sure you’d want that anyway?) Will Mark Zuckerberg ever become a major donor to your organization? I wouldn’t count on it. But recognizing the realities of direct response fundraising doesn’t mean being a quitter. It means being a smart marketer. Good marketing is not about chasing the elusive majority who say no; it’s about what you build with the minority who say yes. What Personality Type is Your Nonprofit? Like people, nonprofits have personalities. They’re complex amalgams of an organization’s history, mission and leadership. People rarely have any idea how they come across to the rest of the world, and nonprofits are often the same. And yet, as with people, how your nonprofit comes across to the rest of the world plays a huge role in whether and to what extent you achieve your goals. 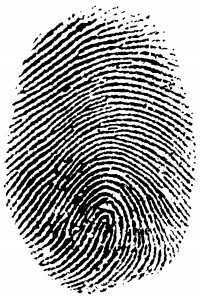 So, have you ever stopped to consider what your nonprofit’s personality is? Not what you think it is. And not what the small group of people who nurtured you and love you unconditionally think it is (e.g. your mom, or your organization’s founder). … Are you a Pessimist or Optimist? … Are you a Talker or Listener? … Are you a Sad Sack or Got-it-Together type? … Are you a Holiday Carder or Year-Round Friend? … Are you an Air Kisser or Hugger? … Are you a “Me-Me-Me” Bore or a “You-You-You” Friend? Obviously, your organization is way too complex for labels. But is it realistic enough to know that it is being labeled constantly by donors and prospects nevertheless? And is it self-aware enough to know what those labels may be? Just like it is with people, changing how you look on the outside usually begins with a good long look on the inside. 1. On October 7, the Chronicle of Philanthropy reported on a study from Campbell Rinker in which 37% of online donors stated that when they receive an organization’s direct mail appeal they use that organization’s website to give, rather than sending a check. The full article is defintely worth reading. The Agitator‘s post, “Why has this taken so long? !” pretty much summed up how exciting it was to get concrete data on the interplay between dm and online. So … the Chronicle is reporting that direct mail is prompting many online gifts and Blackbaud is saying new channels aren’t replacing direct mail. No wonder everyone’s email is starting to look a lot like direct mail. 3. Donors are giving gobs of money to political candidates. Are you modifying your fundraising strategies in light of the elections? 4. The Bridge Conference Call for Papers deadline is October 30. 5. Tom Gaffny is speaking at the DMFA in New York on Tuesday October 26 on designing winning direct response fundraising. On November 3rd, the DMFA is holding a brown bag workshop in DC on putting your website to work for your direct response program. 6. And because it’s Friday … did you catch Jimmy McMillan, The Rent is Too Damn High party candidate, on Monday’s New York gubernatorial debate? Andrew Cuomo says he has a point. The donors you’re communicating with right now might agree too. 1. The hard ask is so 2006. How often do you hear “stop begging for money” in a fundraising conference? It was a remarkably common thread at this year’s Bridge. Of course we know we need to ask. But this year’s Bridge brought a heightened focus on the idea that inspiring donors to give isn’t merely a matter of asking; it’s a matter of being an organization that inspires. It’s also about building relationships. In our session on donor-centric communications, Evan Parker of The Nature Conservancy observed that his organization tends to achieve better constituent engagement – and giving – in their social media communications when they don’t ask, so much as they simply talk about the issues and the work. 2. Reinstatement is the new acquisition. This gem came from Becky Odum of Barton Cotton. Excellent point. 3. The next big thing in fundraising: QR codes. Or at least there’s a lot of excitement to this effect, and not just at Bridge. 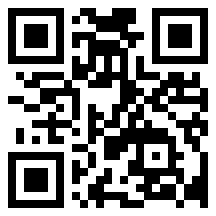 QR (“quick response”) codes are those funky looking barcodes that you can scan with your portable device. The codes, when scanned with your portable device, direct you to a mobile site. Think about the possibilities. Just yesterday, Mashable posted a story on how an activist group is using QR codes for a campaign to clean up the Gulf. To see a QR code in action, scan the code above and let me know what you think of the newly launched site ;). 4. Internal list building is more mainstream; we’re still tweaking conversion. Online internal list building as a means of augmenting traditional prospecting programs is becoming more mainstream. Most organizations at the conference, it seemed, now have formal programs of online name acquisition. But many are still ironing out effective conversion strategies and processes. 5. If it isn’t broken, don’t fix it. As Tony Elischer pointed out, most of us come to conferences looking for the new. New strategies, new media, new ways to improve our programs. But much of what we do works extremely well. 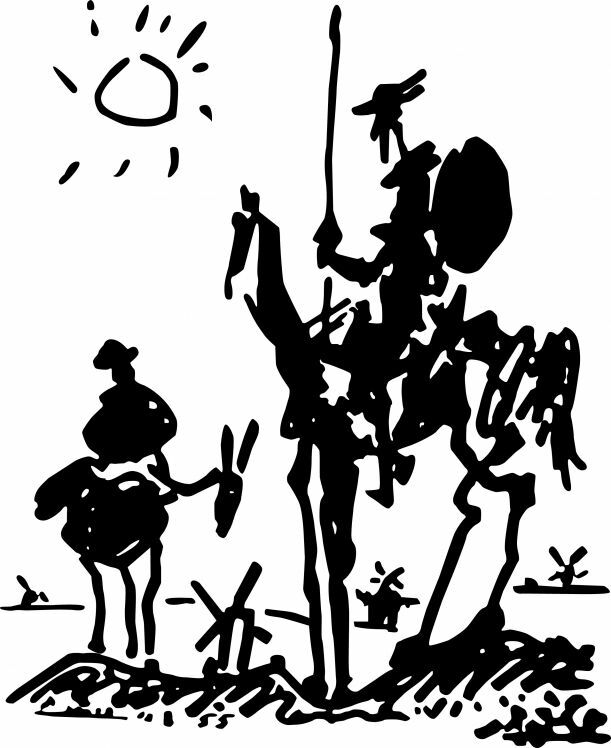 We’d be well served to resist the brute “out with the old and in with the new” mentality and think instead about finding the small 5% or 10% of our program strategies that actually could benefit from the new. What were your favorite Bridge Conference takeaways this year? So your donors don’t “get” you. What else is new? In membership development and advocacy, the things that deliver the best results don’t always align with an organization’s favorite way of speaking about itself or its work. Sometimes an organization’s most important programs or messages – the ones that strike at the very heart of its mission – are the least appealing to donors. So what do you do when the messages you most want to convey don’t dazzle as many of your donors as you’d like? For starters, recognize it. 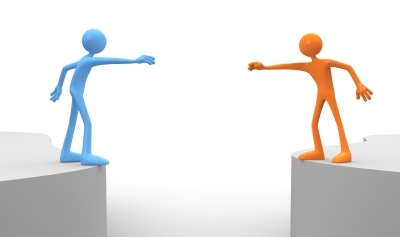 Realize that there will always be some degree of disconnect between your organization and its donors. That donors don’t always “get” you isn’t even a problem to be solved, so much as it is a reality to be recognized. Keep on working to find the common ground between what represents your organization best and what excites its donors the most. At the same time, work on defining whether and how much your organization is willing to compromise on message for results and vice versa. While you’re at it, think about your metrics for defining results. Because while you may think of results in terms of dollars raised and actions taken, your program director and even your executive director may occasionally have different definitions of success. NTEN, aka the Nonprofit Technology Network. NTEN offers extremely valuable information and insights for anyone – and definitely not just techies – interested in donor action and philanthropy today. There are many ways to be connected with NTEN (blog, Twitter, Facebook, conference, etc. ), but start with the NTEN website to learn more about the organization and ways to be connected. Beth’s Blog: How Nonprofit Organizations Can Use Social Media to Power Social Networks for Change. Beth Kanter is another essential voice you should listen to (the Huffington Post named her one of the 10 pioneering women in tech). The Agitator. A must-read from seasoned direct response fundraisers. Be sure to check out The Agitator’s own blogroll. Rosetta Thurman’s blog. Another must-read for insights on nonprofits, leadership, social change and diversity in philanthropy. In addition to the great content, you’ll find an excellent blogroll here as well, including a list of nonprofit and philanthropy blogs written by people of color. Seth Godin’s Blog. Although not focused specifically on nonprofits, Seth Godin’s insights are required reading for anyone involved in any form of marketing –which means all of us in nonprofit membership development. Mashable. Mashable’s focus is social media but it’s extremely valuable to anyone interested in communicating online, which means all of us in membership development too. These are just some of the resources I find myself returning to regularly for information and inspiration. 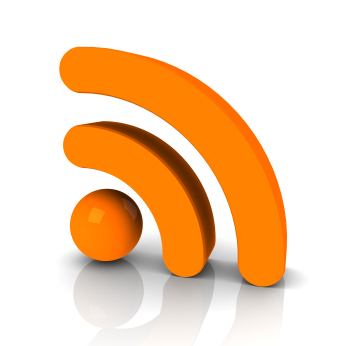 So if you haven’t already, bookmark and/or subscribe to these blogs and sites. But there are many other blogs out there offering excellent information for nonprofits on donor action and philanthropy. What are your favorites? 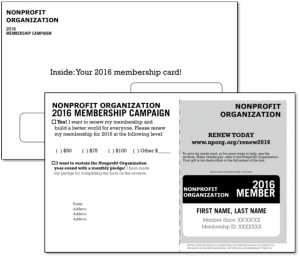 For many nonprofits, November 15th is the most important day of the year on the membership development calendar. It’s on or within a few days of this date that many of us send our most important direct mail solicitation of the year – the Year End Appeal. And arguably, it’s what much of our work throughout the year has been leading up to. Report back to your donors. Did your year-end appeal specify a goal? Why not email your donors in mid-December to let them know how you’re doing and encourage them to participate if they haven’t already, or even to give again? Build your social media presence. Likewise, keep fans and followers in your online communities posted on your year end goals and encourage them to participate and spread the word in their own networks. Goals shouldn’t strictly be monetary ones. 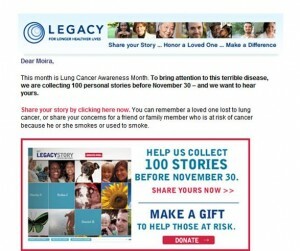 For instance, in addition to asking for their financial year end support, in November the American Legacy Foundation is asking its constituents to share remembrances, reflections and stories about lung cancer and other tobacco-related issues on its story-sharing site, My Legacy Story. Announce a late-breaking, achievable challenge. With two weeks left to go before the end of the year, unveil a matching gift challenge from a high-profile donor or even an anonymous donor to motivate year end giving. Pick up the phone. Is there a donor you haven’t heard from in a while? A donor that has been especially loyal to your organization over the years that you’d like to get to know better? December is a great time to catch up over coffee with the people that make a difference in our organizations – and to let them know the difference they make. Say thank you. You’ve communicated a lot to your donors over the course of the year. But no matter what, make sure the last thing you communicate to them before the year ends is this: your gratitude. Have any ideas or tips on year end fundraising and donor cultivation? Share them here in our comments section or email us at topics@nthfactor.com.